Lifeless Planet: A New 3D Action-Adventure Game from Stage 2 Studios: Lifeless Planet Available Now on Xbox One! 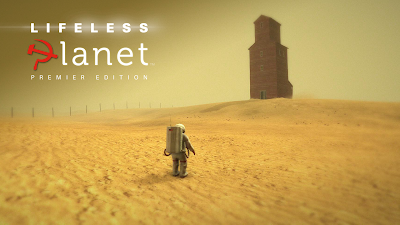 Lifeless Planet Available Now on Xbox One! I just finished it. This is phenomenal game! I'm very impressed with the quality of game play coming from such a relatively small production crew. The soundtrack works perfectly with the stunning visuals to deliver an A+ experience. The combination of large areas, no HUD, and no clear path really makes the player feel as though they are alone in their adventure without any "hand-of-god" developers pushing them in a general direction. 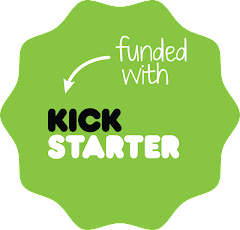 This is a refreshingly original concept, and a well thought out plot. 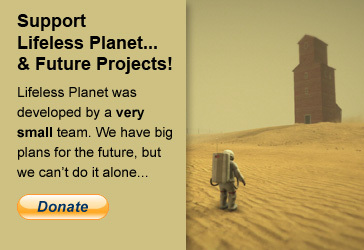 The Lifeless Planet concept has a LOT of potential, and I'm excited to see where Stage 2 Studios will take this next! Thanks, Nathan! Really appreciate the feedback. Definitely some cool plans for future projects... thanks again! Loving it so far. Great little game. Xbox One Release May 13 - More Details!